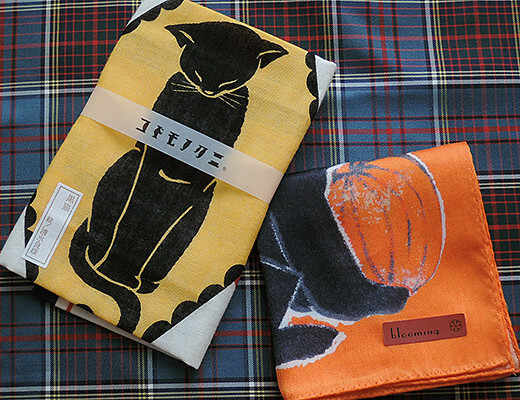 I got two black cats hankies last weekend. 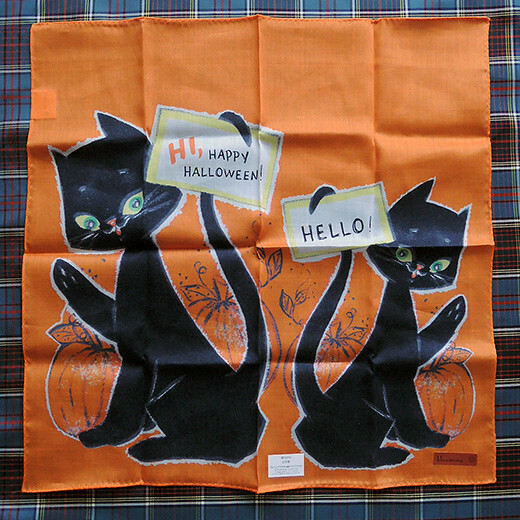 Halloween kitties’ illustration is from old Hallmark greeting card. 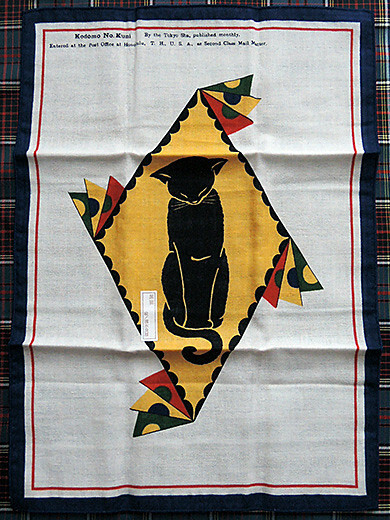 And Classic Japanese cat was drawn for famous and beautiful vintage magazine “Kodomo no Kuni” (means children’s land) by the artist Yoshio Shimizu. Casual and useful art pieces in my hands.